We are working on a consistent basis to maintain the data integrity and Liability. We collect the certain type of information from our viewers. 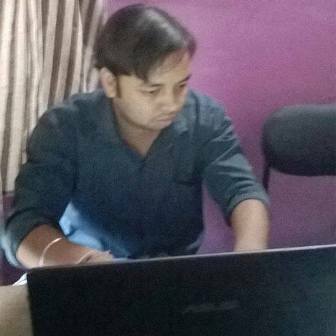 Such information like Name, Email address which is important to make future interaction with our readers. When do we collect user's information and What kind of information we collect? We collect information when the user comments or subscribe to our website. But users can view or visit our site without registering on the site. Viyali.com is an ultimate lifestyle blog. We do not include any malicious third-party plugin, software or support code. We do include analytical codes, third Party Url of respective companies like Google, Facebook, Twitter etc. Such analytical codes and URL helps us to trace our website real-time performances and we are thankful to our such partners. Data analytics or social Media API Policy. We are committed to giving the best user experience to our viewers. Social Media plays a crucial role to interact with family, friends, and co-workers. Hence Social media plugins are included on our site. These social media plugins help our readers to share our content with their families and friend in a hassle free way. The email newsletter is used to interact with our viewers worldwide. Therefore email newsletter is an important medium for us. It helps us to respond to the queries and feedback from our viewers and customers. Cookies enable us to understand your browser return visit and make content accessibility fast for you without making harm to anyone. Dear viewers we create our own original content based on hours of research work. We do not include any direct image, direct video, and direct infographic of another content producer without giving them proper credit. Hence, Our graphics and images are original and Pixabay is our major image resource. For creating awesome graphical artistic work we use the amazing tool like Canva etc. Viyali reserve the freedom to alter our policy at any time. We welcome our user's comment on our website. On weekly basis, we review each user's comment on Viyali blogs. 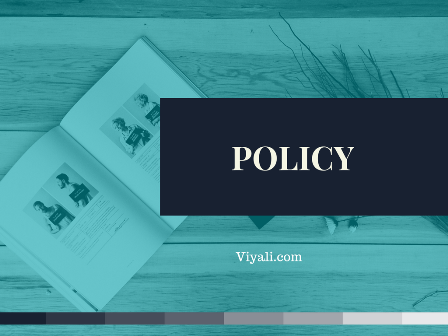 There are few policies which users need to know before posting any comment on the site. Comment should be informative and related to any of these topics like Positive Lifestyle, Happiness, spirituality, Lord Shiva, Motivational stuff; according to the article published by the author. The comment that directly promotes and advertise stuff without sharing any prior information about the product will be treated as the inappropriate comment. Such comment may be removed by an immediate effect. Duplicate comment is not allowed on Viyali blogs by a particular user. Any hatred, racist, personal attacking, abusive language, the unlawful comment will be erased as soon as possible. Any malicious, pornographic nonrelevant link will be not accepted by our comment section. Viyali blogs will not hold any responsibility for any comment made by the user. Viyali blog Commenting service is an independent service. We do not favor any user comment. On our blogs, we try to spread harmony and peace of mind to our users. Any comment which will try to breach people's harmony or moral ethics will not be tolerated. Please do not include your personal details like phone number, address on your comment that may be misused by people. You have read our terms and conditions before posting your comment. Your information is the valuable asset to our site. We value your personal information and we understand the security concern. It is our moral responsibility and duty to protect our user crucial data. We do not distribute, sell or rent personal information of our users. Similarly, we will inform our registered members via Email. Please feel free to get in touch with any query or feedback. We appreciate your efforts to visit our policy page.